Avoid distractions, maintenance, unexpected costs… Hire us one of our VSR (the best Rib in the market) and choose your F10, 5.0, 5.8R or 6.0C model. Fly or safely drive to your event and focus only to your work. We put the rib in the water for you and ready to drive. Seat and enjoy the experience ! 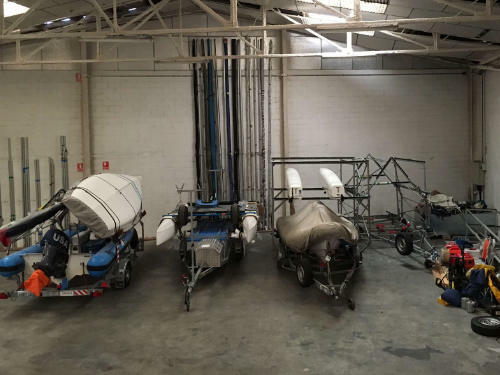 We bring you our 1500m2 Warehouse to safely stock your boat, rib and stuff for short or long periods. We will take care of it and proceed to any trailer/engine maintenance or boat repairing under budget if you need. 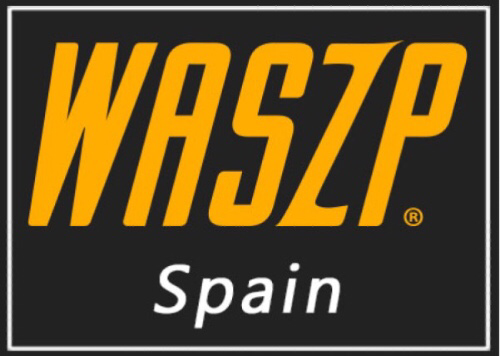 Our place is really well connected to main highways and Bcn airport. 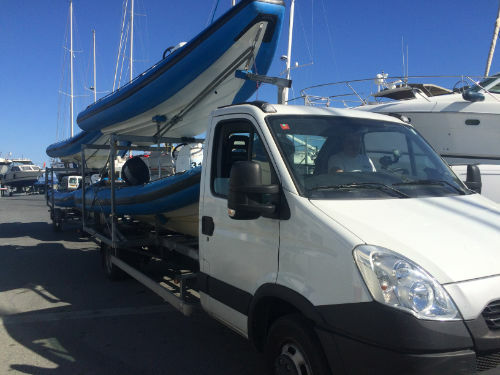 As a company specialising in nautical transportation we are able to accurately assess the logistics to transport your boat, trailer and equipment to any event and collect it at the end. In addition for groups or teams we can arrange container shipment worldwide. We offer the best available ribs (rigid inflatable boats) on the market, so that you can work to the highest standards and provide the best quality service to your trainees. 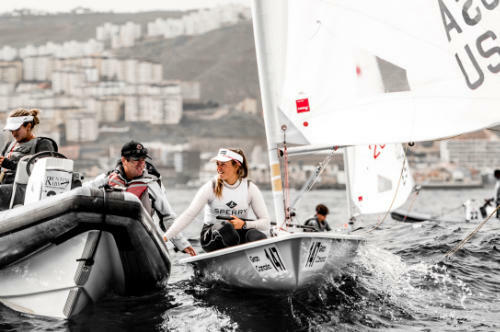 Whether your aim is to complete the day’s work without getting wet, to film your sailors in comfort, to transport equipment without it becoming damp, to be the first to set sail in the morning or simply to end sessions without a sore back, we have the correct boat for you. 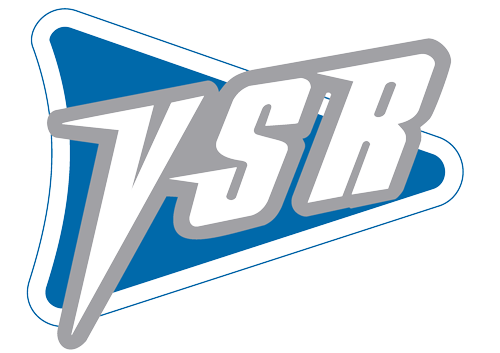 Our VSR boats are the perfect solution should you require an extra level of safety for windy or stormy conditions. 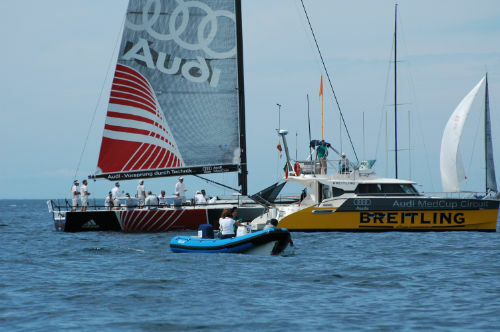 Security at your regatta event need not be compromised. 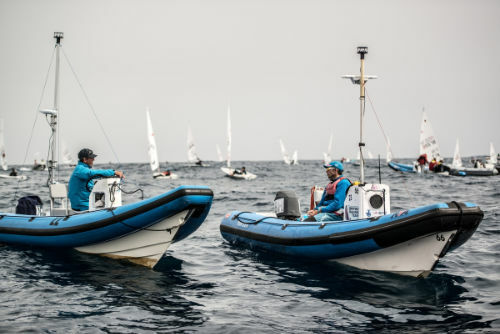 If you are following a regatta up close with VIP guests onboard your rib or you wish to move rapidly from one area to another, we have the solution. 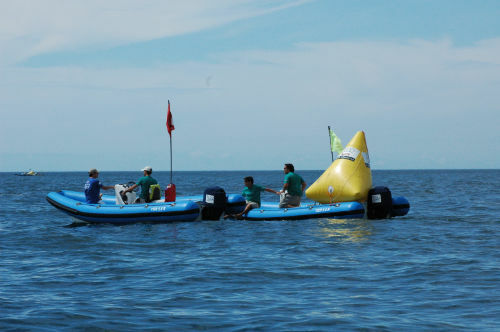 If you want to equip your safety stewards to respond quickly in an emergency or you simply want to provide peace of mind with safety back-up prominently on display, our boats are the answer. 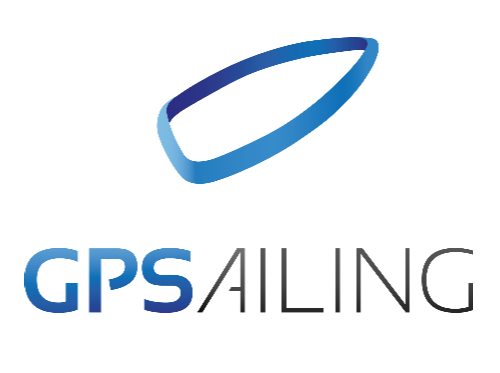 Do you need to ensure that your team is perfectly prepared and equipped for an International Regatta in Europe? 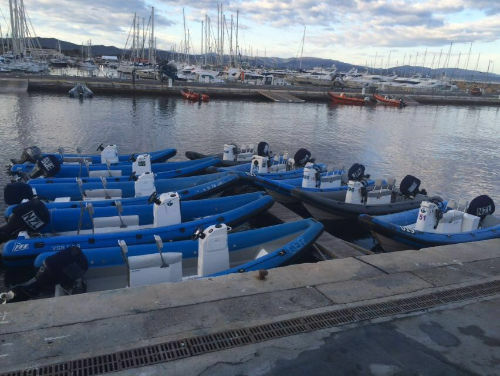 We’ll select the correct rib (rigid inflatable boat) to meet the standards required by SAILING WORLD and by EUROSAF.